The media in Transnistria is controlled by authorities in Tiraspol. This is shown by the analysis of the shareholding structure of Transnistrian media outlets conducted by RISE Moldova. Official influence on public media – whose editorial policy is dictated by the “friendly relations” with the Kremlin – is disputed by the President of the unrecognized Transnistrian republic, Yevgeny Shevchuk, and the majority faction of the Supreme Soviet, formed around the party Obnovlenie (Renewal). In terms of private media, the opposition dominates, as represented by Victor Gushan and Ilya Kazmaly, the owners of the Sheriff holding, a conglomerate which controls most of the private business in Transnistria. The channel’s headquarters is on Liebknecht street (Details, HERE), at the same address of the Sheriff sports center and Mercedes car showroom, which are also controlled by Gushan and Kazmaly. According to documents obtained by RISE Moldova, Inna Ghighineishvili has been the manager of TSV TV since 2006. Although TSV has no website, its stories are published on other websites, such as pmrnews.org registered by Alexander Kazakov of Kharkiv in Ukraine. Connections with the state. Like Sheriff’s owners, the shareholders of other private media have connections with Transnistrian authorities. One of them, Grigory Volovoi, founded Novaya Volna radio and television company in August 2004. He owns a radio station with the same name and the Internet television Dnestrv TV. In the early 1990s, Volovoi was a member of the first Parliament of Moldova. He has had extensive involvement in media groups. In the 1990s he founded, together with Andrei Safonov – also member of the first Moldovan Parliament – the newspaper Novaya Gazeta, which has since closed. In December of 2015, Volovoi was appointed editor-in-chief of Novoie Vremea, founded by the city administration of Bender, a city close to Tiraspol that is technically within Moldova but controlled by Transnistria. Other media outlets include the Press Institution of the Union Federation of Transnistria’s newspaper Profsoiuznîe Vesti, which was reorganized on Nov. 16, 2010, into a limited liability company. The owner and editor of the newspaper is Ludmila Coval. Her husband, Vladimir Covali, is editor-in-chief of the newspaper Pridnestrovie, founded by Tiraspol authorities and financed from the regional budget. The newspaper Patria Moldova was registered in Tiraspol in 2008, founded by Alla Chendighelean and Alexei and Ivan Burgudji. The newspaper lasted for one year. Ivan Burgudji is a citizen of Moldova and Member of People’s Assembly of Gagauzia. He leads the legal commission for human rights, legality, order of law , information policy and media and is the author of controversial drafts of local laws that, according to CBC “endangers the sovereignty and integrity of Moldova”. Moscow – a friend. 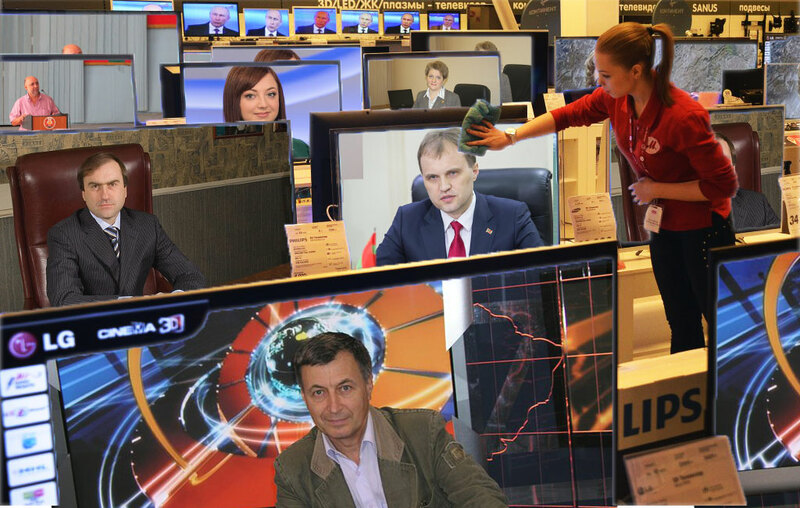 In Transnistria, the media sector is dominated by the public media such as the State Tele-Radio company and State Media Service, which is subordinated to the government,. The State Media Service is led by Inna Delev, who previously led the state enterprise Pridnestrovskaya Gazeta. Public media editorial policy is coordinated by Moscow, through the Ministry of Communications and Mass Media of the Russian Federation, with which the Media Service signed a memorandum of cooperation in 2014. The fight is over control of the TV channel Perviy Pridnestrovskiy, the radio stations Radio 1 and Radio Pridnestrovye; news agencies Novosti Pridnestrovya and Vesti PMR; and the newspapers Pridnestrovye, The Dniester Truth and Gomin. In August 2012, President Shevchuk decided that public TV and radio should be reorganized into the Transnistrian state television and radio enterprise, which includes Perviy Pridnestrovskiy TV channel, radio stations Radio 1 and Radio Pridnestrovye and news agency Novosti Pridnestrovya (the unofficial successor to the Olvia-press agency). Today, the interim director of the enterprise is Syarova Tatiana, who until recently held the position of editor. Public Media also has an online presence. Thus, the website of Perviy Pridnestrovskiy TV station is tv.pgtrk.ru. However, on the IP address of the channel are registered 22 Tranistrian sites, including the official site of the presidency of the region, the supporters of Yevgeny Shevchuk, the website of the pro-Shevchuk party Vozrojdenie and website of the ministry of foreign affairs, led by his wife Nina Shtanski until September 2015. Print media: Pridnestrovskaya Gazeta holding. Before consolidating TV and radio in 2010, the Tiraspol authorities established the state enterprise Pridnestrovskaya Gazeta, which coordinates the official written press: newspapers Pridnestrovye (in Russian), Gomin (in Ukrainian), Dniester truth (in Moldovan with Cyrillic characters) and news agency Vesti PMR. The three newspapers that are part of the Gazeta Pridnestrovskaya holding have been published since the early 1990s, and until 2010 were separate legal entities. The director of Pridnestrovskaya Gazeta is Vasile Burlac, who is also the founder of the “Club of military history of the 55th infantry regiment of the Russian Imperial Army” registered by the Transnistrian Ministry of Justice. The editor-in-chief of Pridnestrovie is Vladimir Covali, husband of Ludmila Coval, owner of the newspaper Profsoiuznye vesti. The web page of Pridnestrovie — pridnestrovie-daily.net – shares an IP address with Vesti PMR news agency site, but also those of public Transnistrian institutions, such as the Ministry of Finance or the Prosecutor’s Office and the Arbitration Court. City press. The Bender city administration has a department responsible for managing the official media. In 1998, local authorities created a unit for the management of TV, radio and print media in Bender. Later, in 2006, the subdivision was removed from the Bender administration and registered at the Ministry of Justice as “municipal institution Department of TV, radio and print of Bender.” The department manages the activity of two media outlets: the TV station BTV and the newspaper Novoie Vremea. The director of the department is Nastas Janna, who held several positions at Bender BTV television. And the newspaper Novoie Vremea is led by Grigoriy Volovoi, owner of the company Novaya Volna radio and television. Public money also goes to district and town newspapers. Among them: Dnestrovskaya Pravda, founded by the city administration of Tiraspol; Novosti, founded by the city administration of Ribnita; Zarea Pridnestrovie, founded by the city administration of Dubasari; and Druzhba, founded by the city administration of Grigoropol. The Transnistria tate media is filled, at least in editorial terms, by party media. Thus, the newspaper Obnovlenie, registered in 2007, is the mouthpiece of the party with the same name. After the elections of November 2015, the party won 23 of 43 seats in the Supreme Soviet in Tiraspol and become the main political force in opposition to the current Tiraspol leader. Shevchuk was the first party leader of Obnovlenie, which he led in 2006-2010. Established in April 2012, the pro-Shevchuk newspaper Vozrojdenye was founded by the current pro-Shevchuk Vozrojdenie party. The newspaper has no website, but the pdf version is published online, including the personal site of Shevchuk. Between 2007-2012, Spravedlivaya Respublika, a publication of the party with the same name, appeared (Details, HERE). At that time, the party leadership was held by a former member of the Transnistrian Supreme Soviet, Yuri Ghervaziuk, who today is head of the Customs Committee.